The Spaniards love football, and of course, we are not an exception. In this post you will find all the information about Real Madrid home fixtures (including Champions League and Copa del Rey) during the month of September. La Liga has just started (mid-August), but the tension between the main teams is beginning to be felt. If there are no surprises, Real Madrid, Atlético de Madrid and Barcelona will fight to get the title. Other candidates like Valencia or Sevilla will not make it easy for them. Despite their little experience in the first division, Leganes is not an easy team to beat. In fact, Real Madrid was dumped out of Copa del Rey by Leganés at Bernabéu last year. Without a doubt, an interesting match. RDC Espanyol, founded in 1900, is a classic of the Spanish championship. Last year RCD Espanyol performed a great season and this year the squad has been reinforced. Their goal for this season, getting a ticket for the Europe League. This game is marked on the calendar of all football fans. Undoubtedly, one of the best sport events in the world. The rivalry between these two teams is second to none, especially after the two Champions League finals lost by Atletico Madrid against Real Madrid in recent years. This rivalry is reflected in the city. The balconies are filled with flags of Atletico de Madrid and Real Madrid and people do not talk about anything else. If you are in Madrid and you like football, you cannot miss this opportunity. 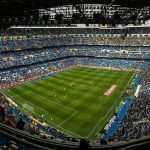 What should you know before buying your Real Madrid tickets? How to buy tickets online for Real Madrid? We recommend you always use official channels to buy your tickets and avoid unpleasant surprises. -You can buy your tickets on the official website of Real Madrid which is available in English. Tickets go on sale approximately 1 week before the game (usually on Mondays). -Other recommended option is to buy tickets at www.ticketmaster.com where tickets are sold at the same price than the official website of Real Madrid. -Finally, you can buy tickets directly at the stadium. The ticket offices begin selling one day before the game. IMPORTANT! In the vicinity of the stadium you will find people selling tickets. In no case we recommend this option since it is not legal. On occasion, they sell fake tickets. Seats located in the upper part of the stadium are cheaper than the rest. The average price in this area of ​​the stadium is approximately € 40-50. How to get to Santiago Bernabéu? 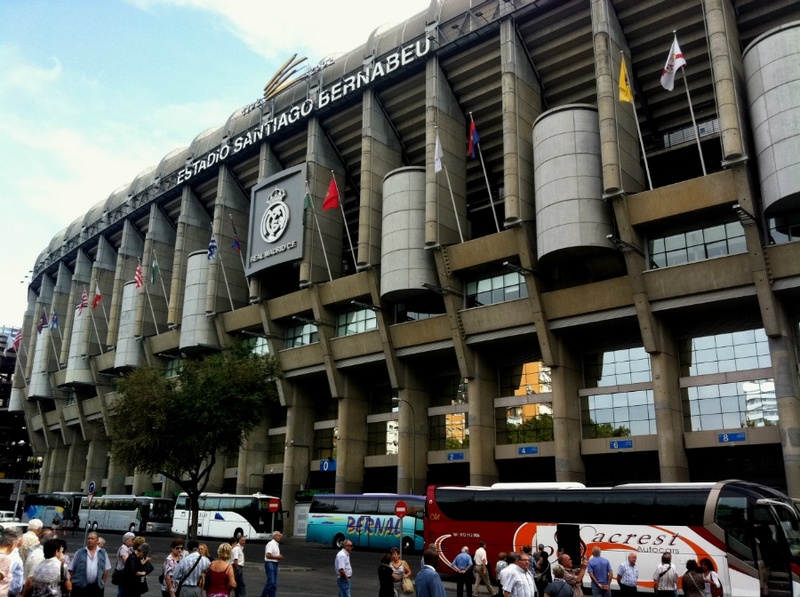 Santiago Bernabéu stadium is located in the financial district of the city (north of Madrid). Due to the large volume of people during the matches, we recommend using public transport. -Metro: Santiago Bernabéu Stadium has its own metro station (Santiago Bernabéu, line 10). If you are staying in the historic center, you can take line 1 to Alonso Martienez station and then change to line 10. It takes approximately 30-35 minutes. -Commuter Train: Our favorite option is to take the commuter train at Puerta del Sol (line C4). You have to get off at Nuevos Ministerios station, which is located 5 minutes walk from the Santiago Bernabéu Stadium. The estimated travel time is 10 minutes. We hope you enjoy your Real Madrid match and the rest of your stay in Madrid. ¡Hala Madrid! Hola! 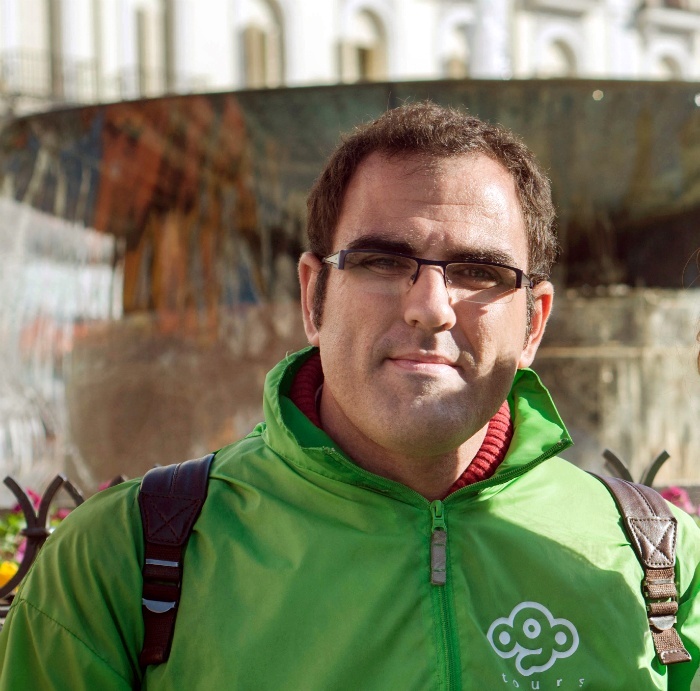 My name is Javier Redondo, tour guide in Madrid for more than 5 years. 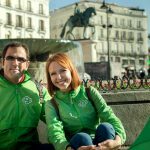 Me and my wife, Tatiana, opened OgoTours in 2013 to share our passion for our city. We want to show the Madrid you never knew and make you feel a local experience.